One year ago, on October 15, 2015, the Ada Initiative officially shut down, ending nearly 5 years of work supporting women in open technology and culture. But the Ada Initiative’s legacy lives on! One year on, here is a status report on how thousands of people are carrying our work forward with the Ally Skills Workshop, the AdaCamp Toolkit, and codes of conduct. We know this post is incomplete. If you know of other examples of continuing the Ada Initiative’s programs, we encourage you to post about it and @-mention the @adainitiative if you are posting on Twitter. For the next few days, we will be retweeting or replying on Twitter as we have the opportunity. The Ally Skills Workshop taught men simple, everyday ways to support women in open technology and culture. All of the materials are licensed CC BY-SA and freely usable and modifiable by all. The Ada Initiative taught about 2000 people and trained about 40 people to teach this workshop between 2012 and 2015. One year after Ada Initiative shut down, we estimate that more than 6000 people have participated in some version of the Ally Skills Workshop. Many other people are now teaching the workshop either for an organization or independently, for fees or free to the public. Valerie Aurora, the lead author of the original Ally Skills Workshop, has expanded the workshop to cover race, sexuality, age, disability, religion, and nationality – and it is still freely usable and modifiable by anyone. She teaches the expanded Ally Skills Workshop through her diversity and inclusion in technology firm, Frame Shift Consulting. She is also experimenting with teaching it as a fully online class using new video conferencing features, which significantly reduces the cost of the workshop. By the end of 2016, Valerie will have taught the workshop to another 300 people and trained another 30 people to teach the workshop. She has also given a talk called “Focus on Allies: Diversity and Inclusion in 2016” over 15 times at companies including Twitter, Airbnb, Keen IO, IBM, Ericssen, Trello, and Pivotal. This talk explains why we should focus more effort on changing the behavior of people with more privilege and power. She is also working on a book about ally skills, which you can learn more about by following Frame Shift on Twitter or signing up to their mailing list. The Ally Skills Workshop is being taught in one form or another internally at at least four companies: Google, Square, Slack, and Spotify. Several people are teaching it independently in different locations with different focuses. Y-Vonne Hutchinson is based in the San Francisco Bay Area and interested in working with small to medium tech companies as part of her work with ReadySet and Project Include. Kendra Albert focuses on fighting sexism and transphobia and teaches in both Boston and the San Francisco Bay Area. Cynthia Tee teaches only in the Seattle area. Alison Stanton focuses on men supporting women and managers working in tech, and is based in Chicago but happy to travel within the U.S. Leigh Honeywell teaches at computer security events around the world. Mary Gardiner created and organized the first AdaCamp in Melbourne in 2012 with a goal of creating an event that demonstrated best practices for an inclusive and diverse conference. We ran a total of seven AdaCamps, adding new ideas and refining existing ones from other inclusive conferences (most notably WisCon). We created the AdaCamp toolkit as a simple comprehensive guide for other conference organizers to use when creating an inclusive event. Many conferences organizers have adopted some or all of the AdaCamp features. Some events follow the AdaCamp format fairly closely, including features like an unconference format, conference-provided meals for every attendee’s food preferences, detailed accessibility information, accessibility lanes, all-gender bathrooms, opt-in photography rules, childcare, a quiet room, a nursing room, travel scholarships for attendees from underrepresented groups, and of course, a strong code of conduct. One of these events is AndConf, an intersectional feminist code retreat and unconference in Northern California created by Lillie Chilen, Stella Cotton, and Emily Nakashima. An offshoot of AndConf is AndXP, an unconference created by Lillie Chilen and Marlena Compton to discuss Extreme Programming through an intersectional feminist lens. AlterConf is a conference series created by Ashe Dryden in 2014 to provide safe opportunities for marginalized people and those who support them in the tech and gaming industries. Unlike the AdaCamp unconferences, AlterConf has official speakers. AlterConf also pays all of its speakers and provides live captioning for all the talks. Many pre-existing and new conferences have started offering many AdaCamp-style improvements in the last few years. As just as one of many examples, this year Strange Loop offered childcare, a quiet room, vegan lunch options, opt-in photography rules, a strong code of conduct, and travel scholarships. PyCon NA and ! !Con also offer live captioning and many of the AdaCamp features. Conference organizers looking for advice and assistance in making their conference more welcoming and inclusive can hire inclusive conference facilitators. Ashe Dryden and Frame Shift Consulting both offer inclusive conference facilitation consulting. Valerie Aurora and Mary Gardiner were the lead authors of the Ada Initiative example conference anti-harassment policy, which in 2010 was the strongest, most specific, most comprehensive conference code of conduct in existence. During the first year of its existence, only about 30 open tech/culture conferences adopted a code of conduct. Today, the list of conferences with codes of conduct is divided into nearly 30 categories and includes thousands of conferences. Community codes of conduct are slowly being adopted as well. The Geek Feminism Wiki community has developed some rough metrics for judging community codes of conduct: Are they specific? Do they clearly distinguish between helpful communication advice and specific punishable acts? Do they have information about enforcement? Do they have clear reporting instructions and contact information? Ashe Dryden and Frame Shift Consulting offer professional advice on designing and implementing codes of conduct, both for events and for communities. This entry was posted in Ada Initiative news on October 17, 2016 by Ada Initiative. The Ada Initiative would like to thank two long time Ada Initiative volunteers who have recently stepped back from a volunteer position with us. Thank you for your work with us, to Rachel Chalmers, who served as a member of our board of directors for more than four years since our founding in 2011, and to Camille Acey, who served as an advisor in 2014 and 2015. Best wishes for your activism and other work in future! This entry was posted in Ada Initiative news on June 26, 2015 by Ada Initiative. The Ada Initiative’s governing board of directors, responsible for running our organization, welcomes our new directors Amelia Greenhall and Andrea Horbinski. Amelia and Andrea are existing members of our advisors group, and both bring us officer experience from other non-profits. Amelia Greenhall is the Chief Creative Officer of Magic Vibes Corporation. 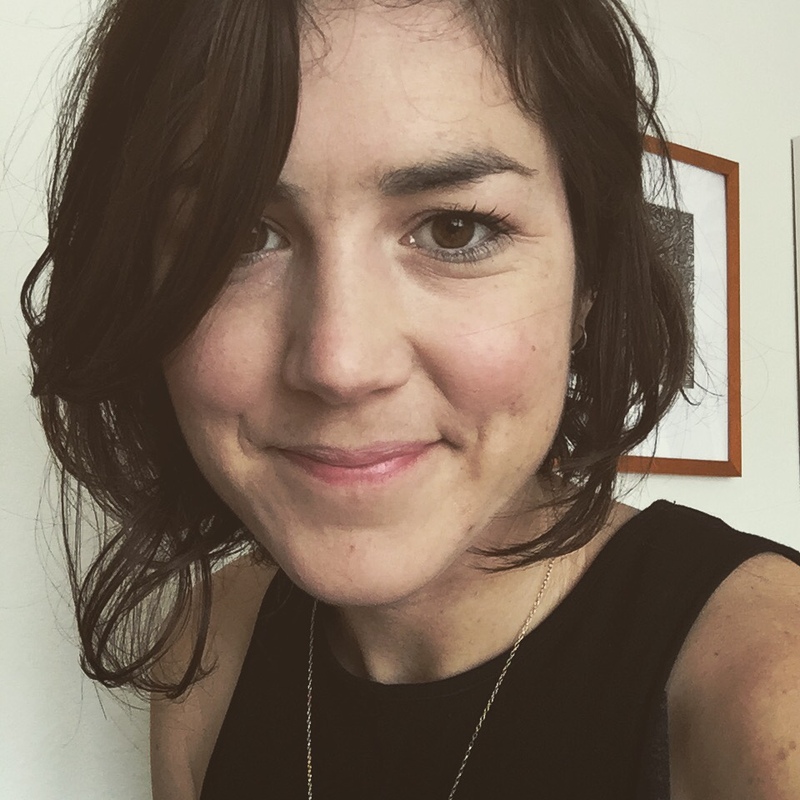 She’s also the cofounder and Executive Director of Double Union, a non-profit feminist community workshop, and she publishes the Open Review Quarterly literary journal. 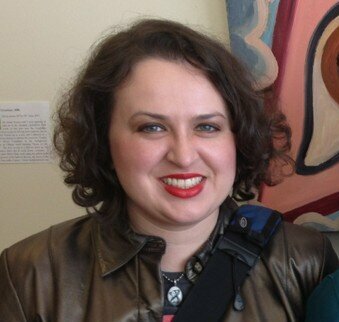 Andrea Horbinski is a PhD candidate in history and new media at UC Berkeley. She is Secretary of the Board of the Organization for Transformative Works and the co-chair of Wiscon 40 in 2016. The Ada Initiative also welcomes Sue Gardner back to the board of directors. Sue originally served as a director from 2011 until April 2014 and returns in 2015. Together, Amelia, Andrea and Sue comprise our officers in 2015; Amelia as President, Andrea as Secretary and Sue as Treasurer. They join continuing directors Rachel Chalmers, Mary Gardiner, Alicia Gibb, and Marina Zhurakhinskaya on the board for 2015. This board transition is a significant milestone for the Ada Initiative, as one of our outgoing directors is Valerie Aurora, Ada Initiative co-founder, who served as both Executive Director and Board President from 2011 to 2015. We’re excited as an organization to be in a position to move beyond being governed by our founders! As announced in March, while she’s stepping down from her positions at the head of the organization, Valerie continues on our staff as the Director of Training under new Executive Director Crystal Huff. Our other co-founder, Mary Gardiner, remains as a board member and staff member. Mary intends to retire from the board in 2016. We also thank our other outgoing directors, Sumana Harihareswara (2014–2015) and Caroline Simard (2012–2015) for their hard work on behalf of the Ada Initiative during their terms, and wish them good luck with their many other projects. This entry was posted in Ada Initiative news on May 5, 2015 by Ada Initiative.